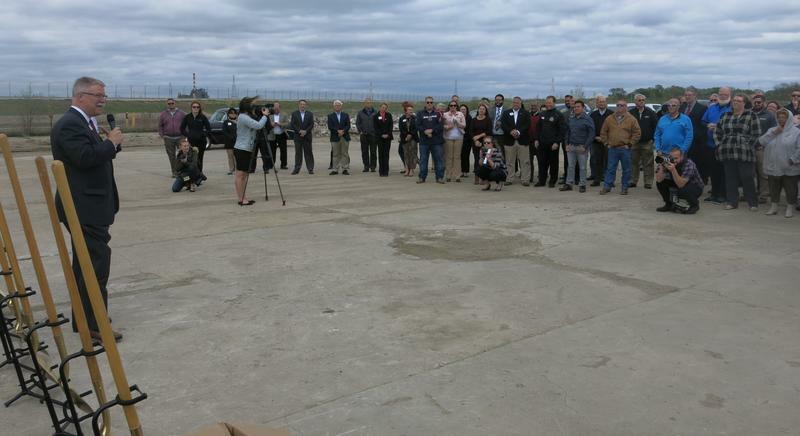 Work is finally, officially underway for the Bend of the Mighty Mississippi - the long awaited redevelopment of the former Case I-H plant site in East Moline. 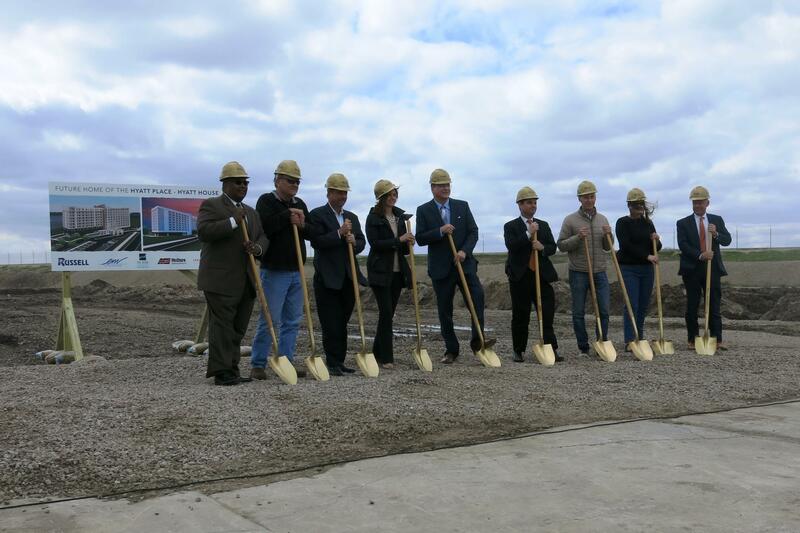 Ground was broken Thursday for a new Hyatt Hotel. Standing in the middle of 132 acres of cleared land, it's hard to believe a huge factory covered the site for decades - starting in 1926 when International Harvester first began turning out farm equipment there. Several owners later, the plant closed in 2004. Just before he steps down, Mayor John Thodos was thrilled to wield one of the shovels. "For those people who said East Moline can't pull it off, and Thodos can't pull it off, and this ain't gonna work, I just love to stand here today putting a shovel in the ground and saying "no" you're wrong." The hotel will succeed, he thinks, because it'll have a great view of the river from behind a levee that'll protect it from flooding. "John Deere Harvester is just down the street and they have 10,000 visitors a year, and right now they'd have to go to a hotel in another city. This is a Hyatt - it's the first one in the Quad Cities and Hyatt commands a certain respect in the hotel business." One of the many partners in the Bend is Kevin Mahaney, president and ceo of the Olympia Companies which builds and manages hotels for the Hyatt chain. 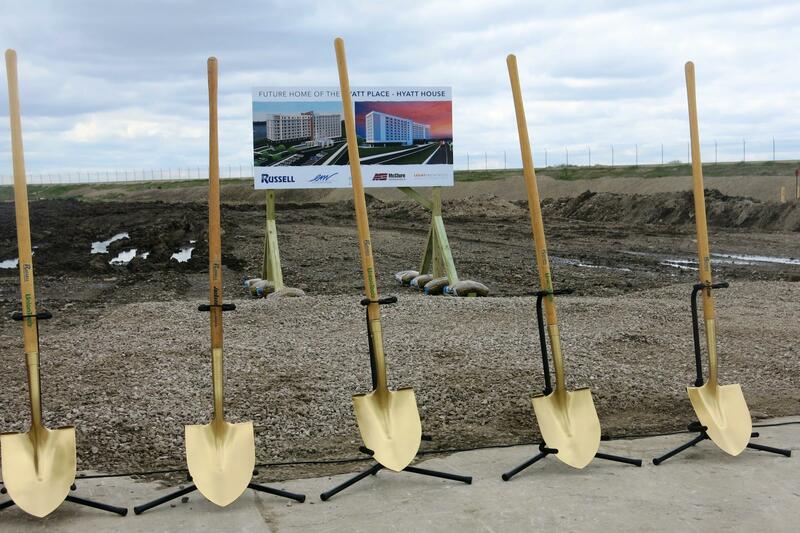 "When you see the development here, you have housing going in, and Deere's committed to improving their product. So I think it's an opportunity for re-generation of a community. The new Hyatt will cost about 40 million dollars, with a total cost of 81 million once additional buildings with shops, apartments, and condominiums go up on the site.